Will I Get Discharged From Bankruptcy If I Owe Taxes? 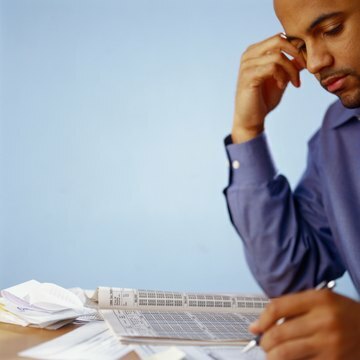 Many people filing bankruptcy are also behind on their taxes. Most taxes are not dischargeable in bankruptcy, but in some cases, a portion of the taxes owed may be discharged if certain conditions are met. If you owe taxes, this won't prevent your other debts from being discharged. Filing bankruptcy triggers an automatic stay that temporarily stops IRS levies and collection efforts until other debts are discharged and the bankruptcy is finalized. Then any portion of the federal income taxes that have not been discharged in the bankruptcy become due and owing again, and the IRS may resume its collection activities. The temporary reprieve from IRS collection efforts can be valuable to the debtor, however. The relief from IRS wage garnishments, opportunity to get released from other debts, analyze whether some tax debts may be discharged, and re-organize payments to all creditors including tax agencies, can make repayment of any past-due taxes more manageable. Some income taxes may be dischargeable in bankruptcy if they meet a number of requirements. Most other taxes, such as payroll and sales taxes, are not dischargeable. Federal and state income taxes are dischargeable if five conditions are met: the due date of the taxes must have been more than three years prior to filing bankruptcy; tax agency must have received your return more than two years prior to filing bankruptcy; taxes must have been assessed at least 240 days prior to the bankruptcy filing date; you must not have engaged in fraud or illegal tax evasion; and there must not be a tax lien in effect. Whether past-due property taxes are dischargeable in bankruptcy depends on state law. If state law declares that property taxes constitute a lien on property--as is the law in most states--the past-due property taxes are not dischargeable in bankruptcy. In most cases, property taxes due on personal real estate will be resolved when the real estate title is transferred, so they do not usually become a difficult issue in bankruptcy. Most business personal property taxes are not dischargeable, however, and may be the subject of continued collection actions once the stay period relative to the bankruptcy has ended. Owing taxes that cannot be discharged in bankruptcy will not preclude the bankruptcy court from issuing a discharge that releases you from your other debts. After a debtor receives his Chapter 7 discharge of other debts, any undischarged taxes are still owed and must be paid. In a Chapter 13 bankruptcy, past-due taxes are usually paid as part of the three- to five-year Chapter 13 repayment plan. A Chapter 13 discharge is usually not issued until after all payments under the repayment plan have been made, so in most cases, the back taxes will have been cleared before the Chapter 13 discharge is made. Can Back Taxes & Child Support Be Reduced in Bankruptcy? The Sader Law Firm: When are Income Taxes Dischargeable in Bankruptcy? What Happens to Judgments in Bankruptcy? If a creditor wins a money judgment against you, that judgment may or may not be subject to discharge in bankruptcy. How judgments are treated in bankruptcy court depends on the type of debt you owe, not merely on the fact that a creditor won a judgment. Certain debts are not discharged in bankruptcy, and judgments on those debts will not be discharged either. Many people who file for bankruptcy do so because they seek a financial clean slate and relief from a heavy debt burden. Whether you file under Chapter 7 or Chapter 13, the court can discharge – or erase – many of your unsecured debts at the end of your case. Your eligibility to file bankruptcy is not affected by whether your debt is secured or unsecured. In a Chapter 7 bankruptcy, often called liquidation bankruptcy, a debtor's non-exempt assets are sold to pay the debtor's creditors. Often, a debtor has no non-exempt assets -- or not enough to cover his debts. In such cases, the debtor's remaining, unpaid debts can be discharged, or erased, by the bankruptcy court. Not all debts, however, can be discharged. Do Tax Liens Survive in Chapter 7? Can the IRS Charge Interest & Penalties While You're in Bankruptcy? Can the IRS Levy Wages if You Are in Chapter 13?